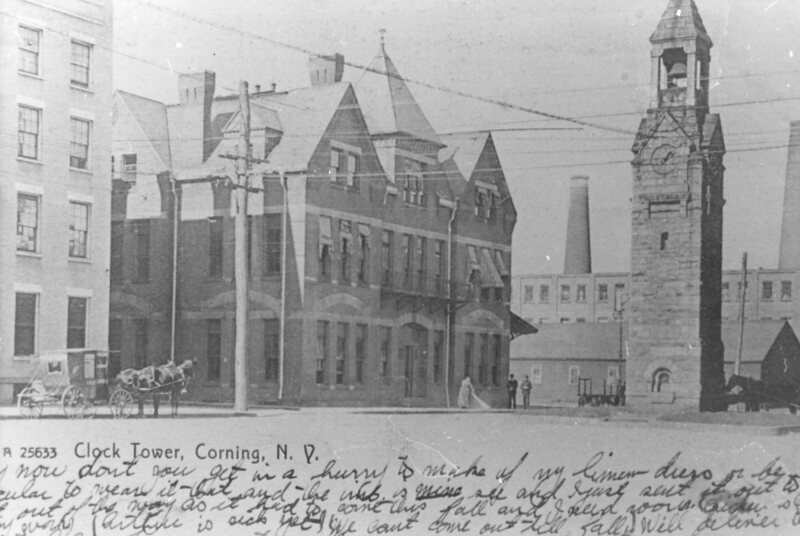 Corning History | A place to share stories and history of the Southeast Steuben County region. 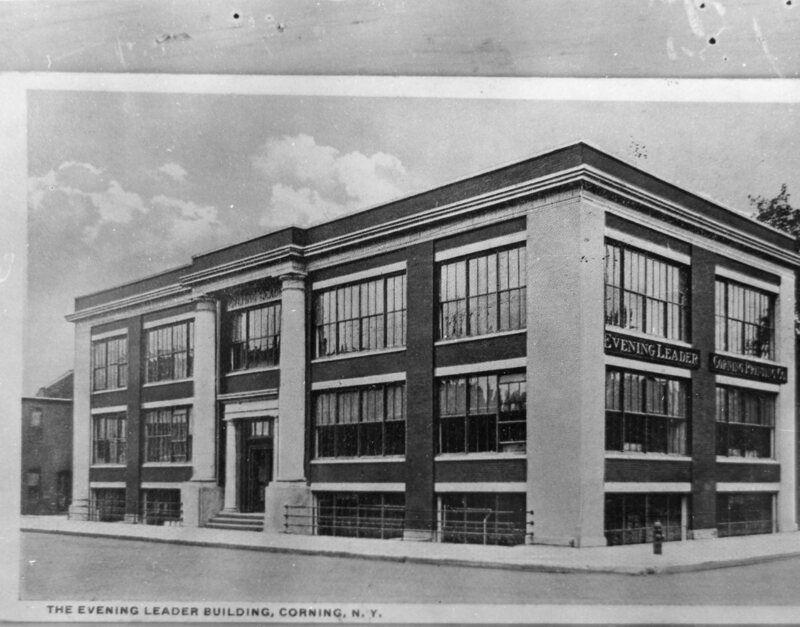 Our first photo for this week shows the old Corning Evening Leader building. According to the classic local history book by Dimitroff & Janes,* the old Corning Evening Leader building was located on the north side of what is today Denison Parkway, between Pine and Walnut Streets; the building was razed in the 1950s and new buildings constructed in its place to house the J. C. Penney and Newberry stores. Our second photo for this week shows a group of people standing on the steps of Corning Free Academy. There is no information in our archive to tell us who the people are or what the special occasion that prompted the photo shoot was. 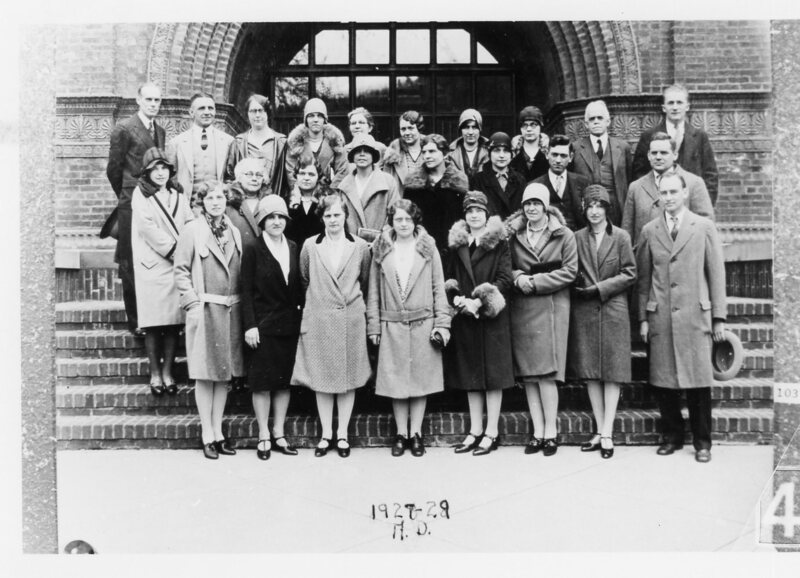 However, I’m speculating that the people shown are perhaps staff members that taught at the school between 1927 – 1929, as that is what is says on the photo! If you recognize anyone in the photo, please let us know. And what a cool photo it is too – look at those hats, aren’t the neat?! *History of the Corning Painted Post Area, 200 Years in Painted Post Country, Revised Edition by Thomas P. Dimitroff & Lois Janes. Publishers: Bookmarks. Date of Publication: 1990. 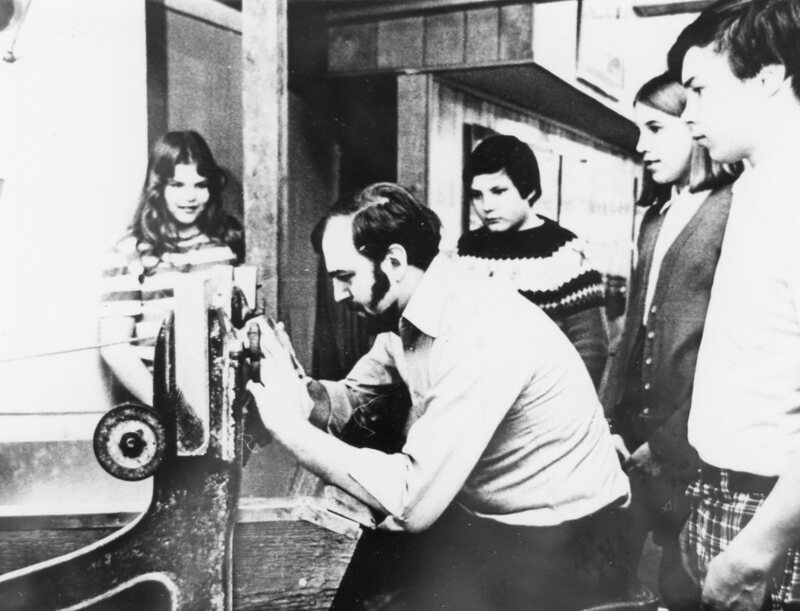 Corning History is a Southeast Steuben County Library blog. 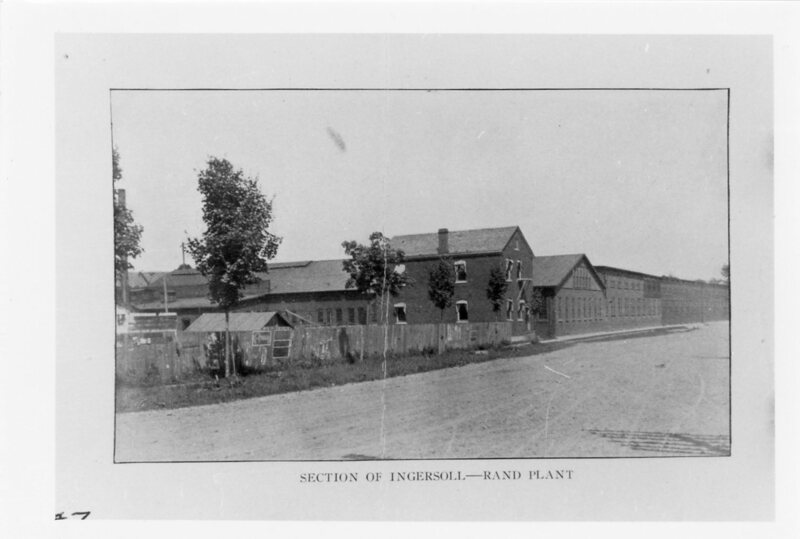 Our first photo is of a section of the Ingersoll Rand in the days of old. Our records don’t indicate the year, but it is a cool photo! 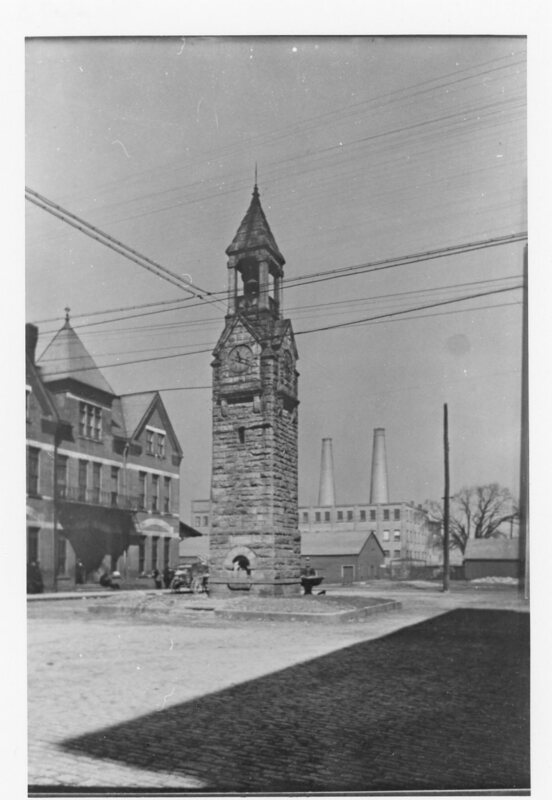 Our second photo is of the clocktower in Centerway Square in the pre-automobile days. This photo too is un-dated, however, judging by the horse-drawn carriages seen in the background, I think we can guess it was taken before the dawn of the automobile age! Bonus Photo: Clock Tower & Centerway Square Again! Here is a second photo of the clock tower and Centerway Square in the days of old. 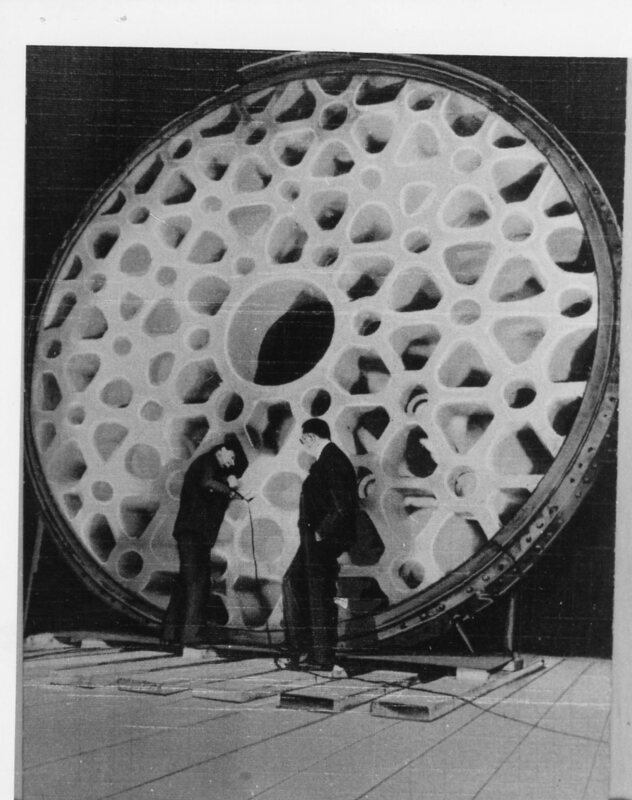 This photo is obviously one of the “photos of a photo” that we have in our archive, and this time the original photo was a postcard. This photo gives us a wider view of Centerway Square, than the first photo, with the factory in the background and buildings in the foreground, all of which were later demolished with only the clocktower left as a witness to days gone by! 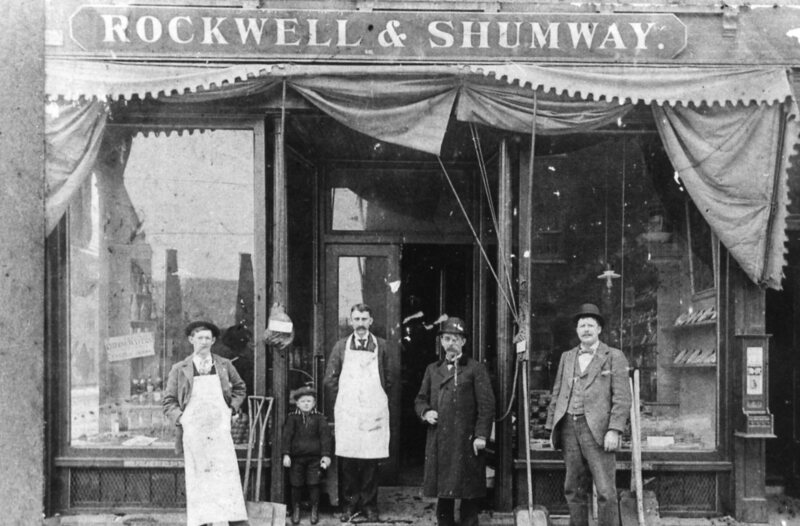 Our first photo for this week is of the Rockwell & Schumway store on Market Street in the days of old! 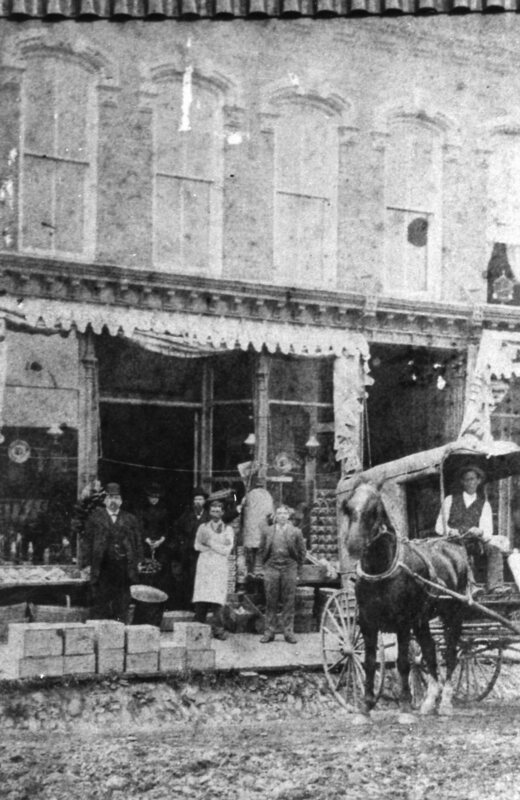 And our second photo for this week is also of Market Street in the days of old, long before the street was paved. And isn’t that horse drawn carriage cool! 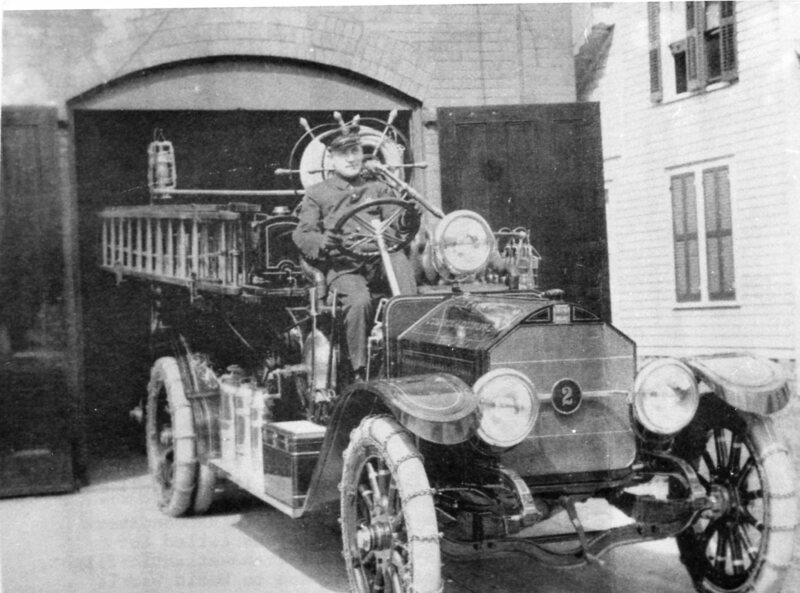 Our first photo for this week shows a vintage fire truck and fireman in the days of old. 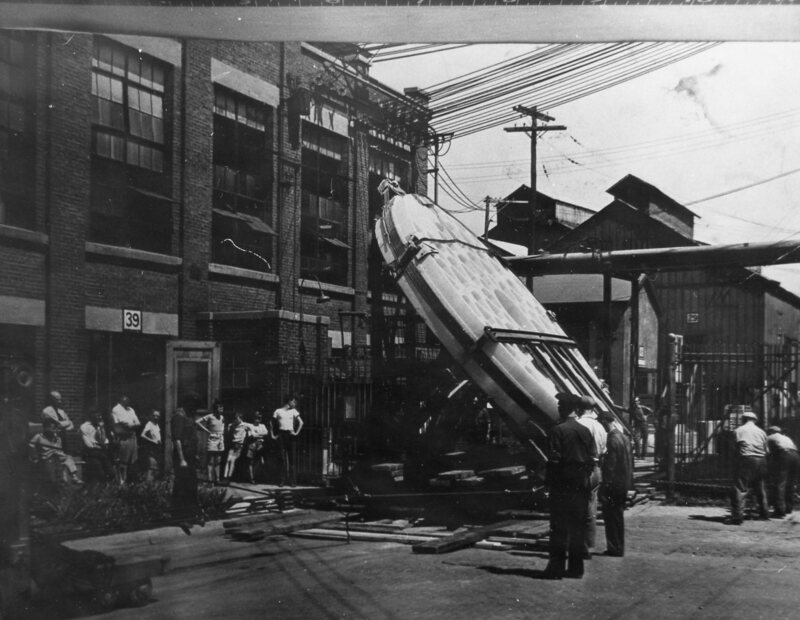 The photo is undated ; however, by looking at the fire truck I’m speculating it was taken around 1930. If you recognize the fireman, please let us know! We’d love to include that information in our records. 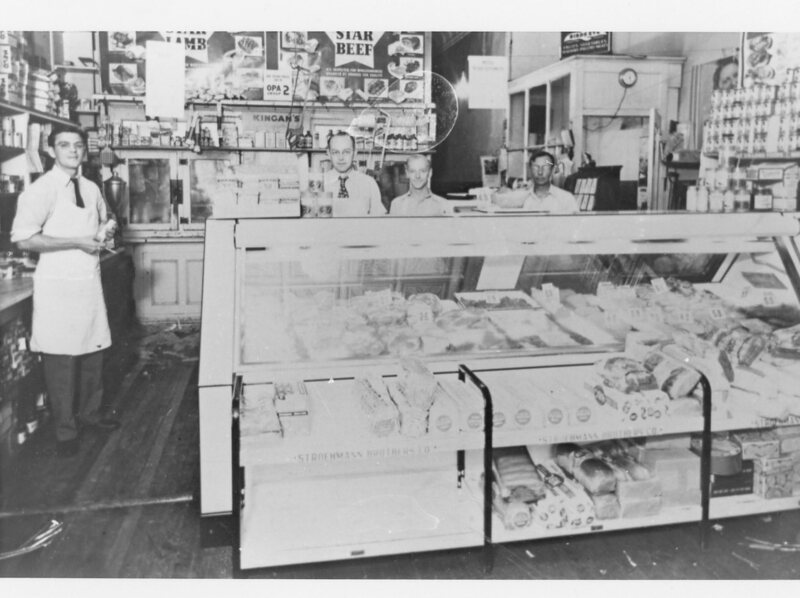 Our second photo is of a local grocery store, the date the photo was taken and the location it was taken are a mystery. However, like the first photo for this week — it is super cool! Based upon the clothing the men are wearing, I’m going to speculate that the photo may have been taken sometime in the 1940s. If you recognize any of the men in the photo, or if you know where the photo was taken, please let us know. Hi everyone, here is a bonus posting! 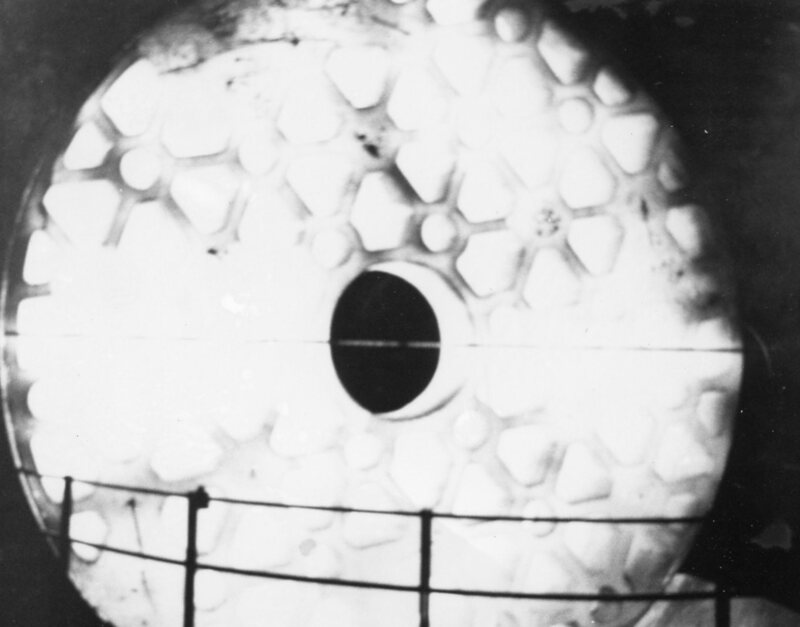 I’ve had a request to post the photos, in the library’s local history collection, showing the 200” glass disc made by Corning Glass Works for the Palomar Observatory in 1934. 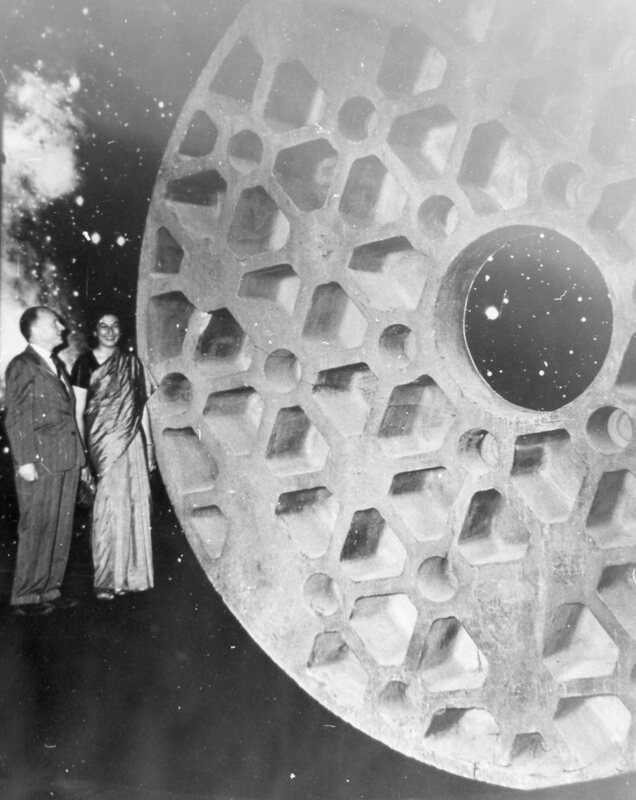 The disc was cast twice and the second time was the charm as a perfect disc was created. 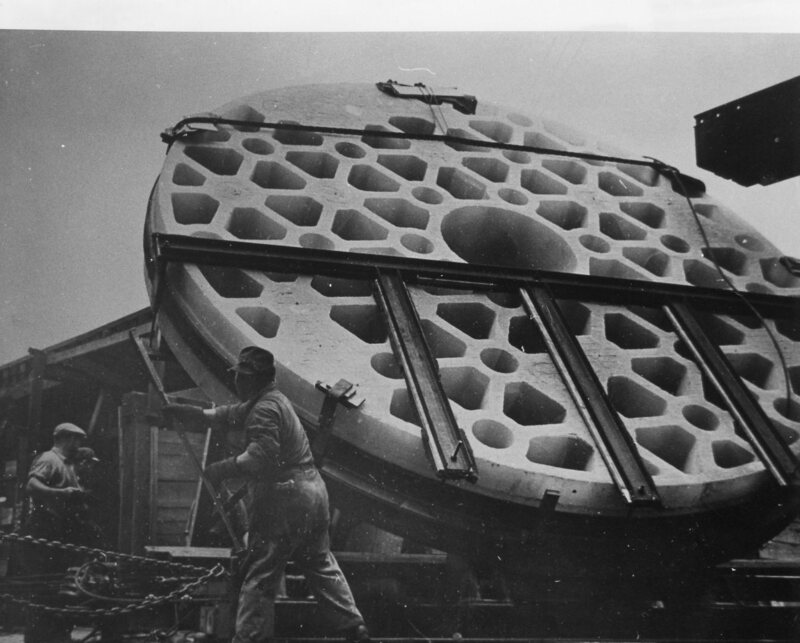 In 1948 the disc was taken by train from Corning to California and installed in the Palomar Observatory where it is still in use today! So here are the few cool photos of the disc we have in our collection! 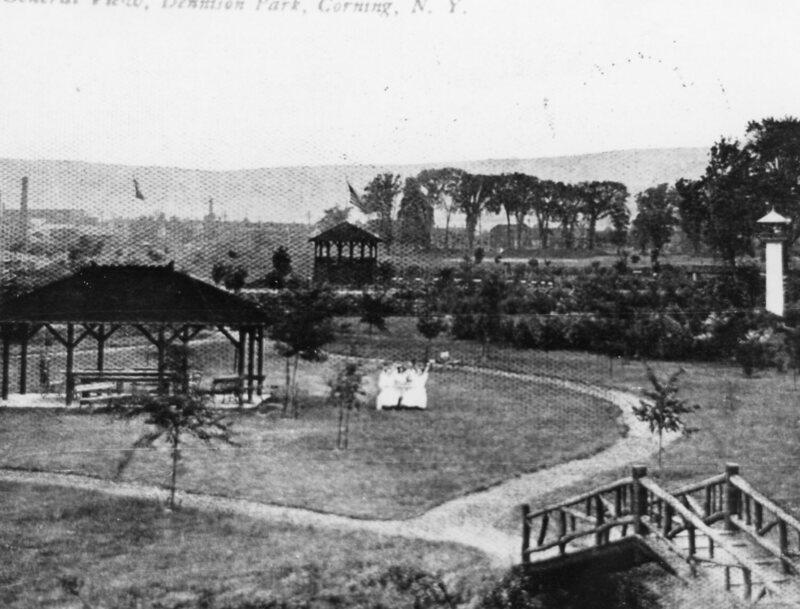 Our first photo of the week shows Denison Park in the days of old – date unknown. What cool photo, it shoes a summer scene complete with ladies wearing summer white! 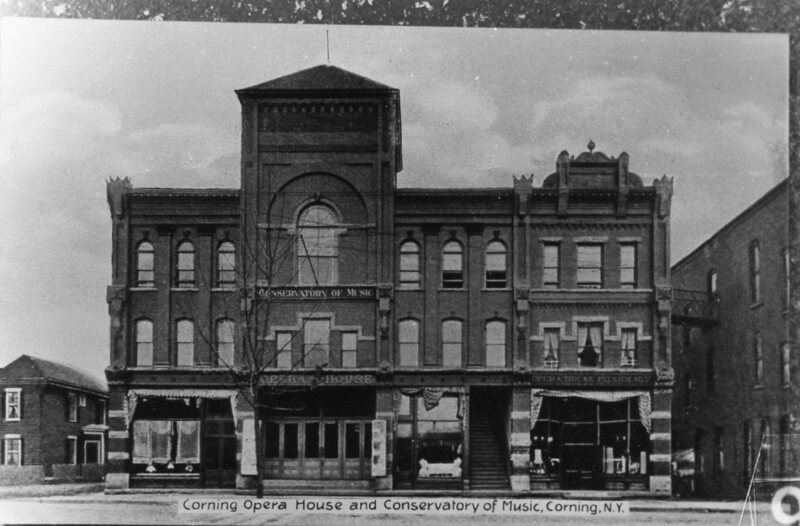 Our second photo for this week is of an old Corning landmark; the old Corning Opera House, which I believe was torn down to make room for the lot that housed the old Woolworth store. What a great old building – can’t you just imagine the music played there and the peformances given? Our first photo for this week appears to have been taken in the sixites or seventies, at least it does if you look at the clothing! If you know what type of equipment is seen in the photo and/or recognize who one or more of the people seen in the photo are – let us know! The building housing the store looks familar and I may have to take a walk up Market Street and look for it! Our records don’t indicate when or exactly where the photo was taken, but I’d guess by the fact that most of the men posing for the photo are wearing bowler hats that the photo was probably taken before 1930. Even if we don’t know when the photo was taken or who the men are seen in the photo – it sure is cool! 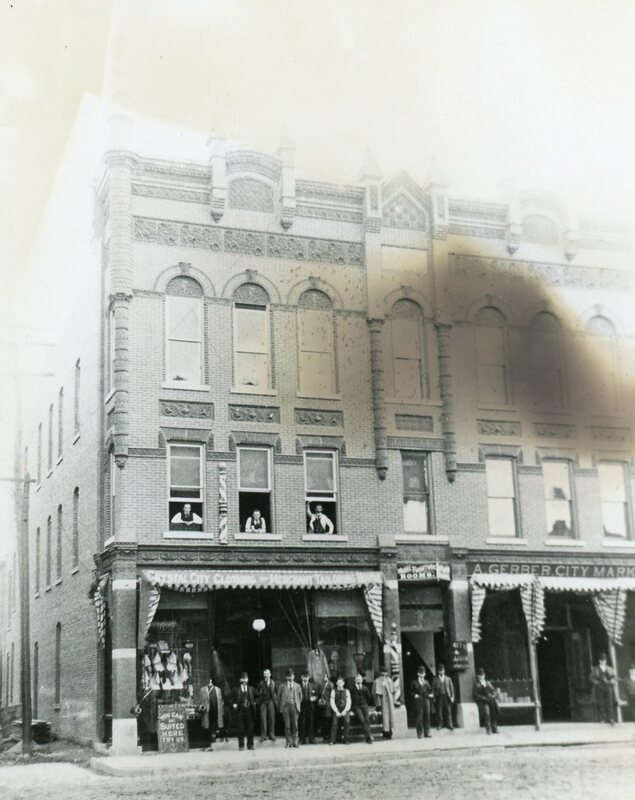 We can see that if we could step back in time and walk down Market Street on that day we could “Get Suited” at the store and rent a room next door before walking a few feet down the block to the Gerber City store! 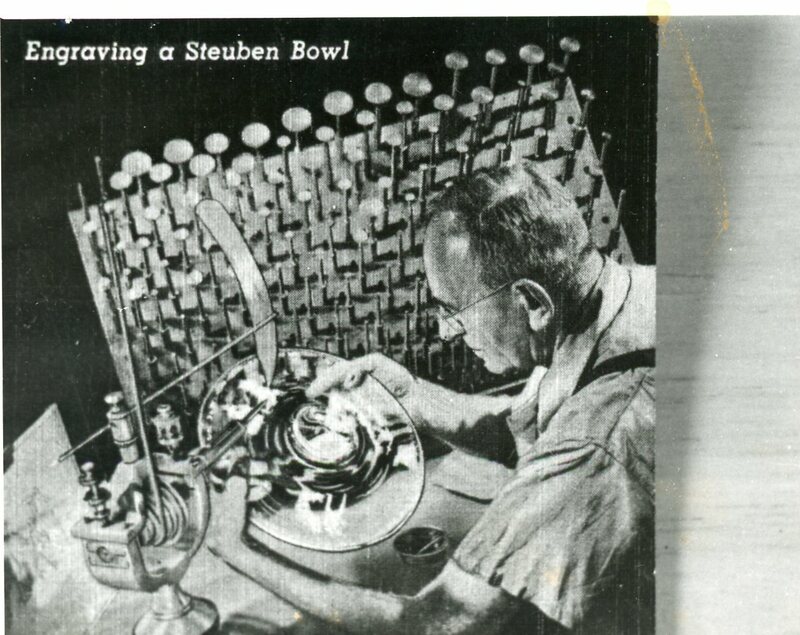 Our bonus photo this week is of a postcard showing a Steuben glassworker engraving a Steuben bowl. And again, we don’t know who the man seen in the postcard is – so if you recognize him please let us know!